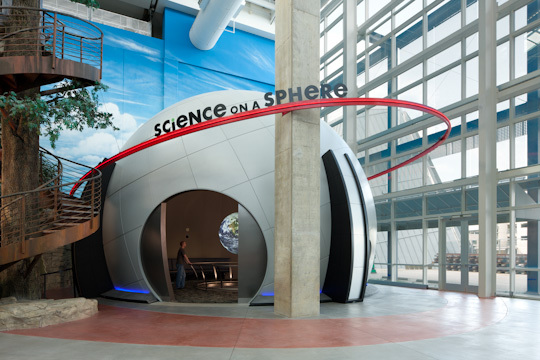 One of the best features of Union Station’s Science City Exhibit is the new Science on a Sphere…again one of our fantastic clients, Burns & McDonnell, designed this project. It’s absolutely breathtaking. The operator can literally show all kinds of incredible scientific facts on a sphere using a series of projectors that display images directly on to the globe. We even got to take it for a spin - seriously, this thing is wonderful.